Michael McFadyen's Scuba Diving - The Pinnacle, SWR Fish Rock is located off Smoky Cape on the Mid North Coast of New South Wales. 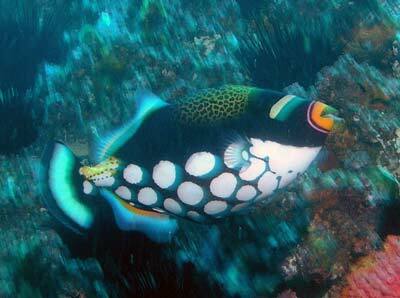 The closest town is South West Rocks and the main dive location in the area is Fish Rock. 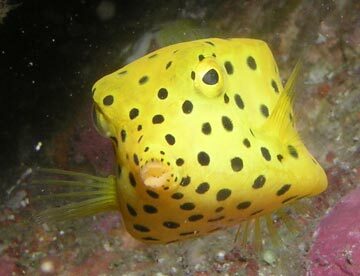 Most people who dive Fish Rock want to dive Fish Rock Cave, a 120 metre long ocean cave that runs all the way through the rock from east to west. However, there is much more to Fish Rock than the cave. For at least 80% of the time, Fish Rock has a current from the north running past the island. It is normally very strong and for at least 50% of the time I estimate that it is so strong that you are severely limited in where you can dive. 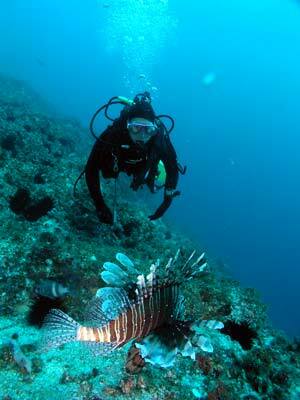 When the current is absent, one of the dive sites that is possible is The Pinnacle. 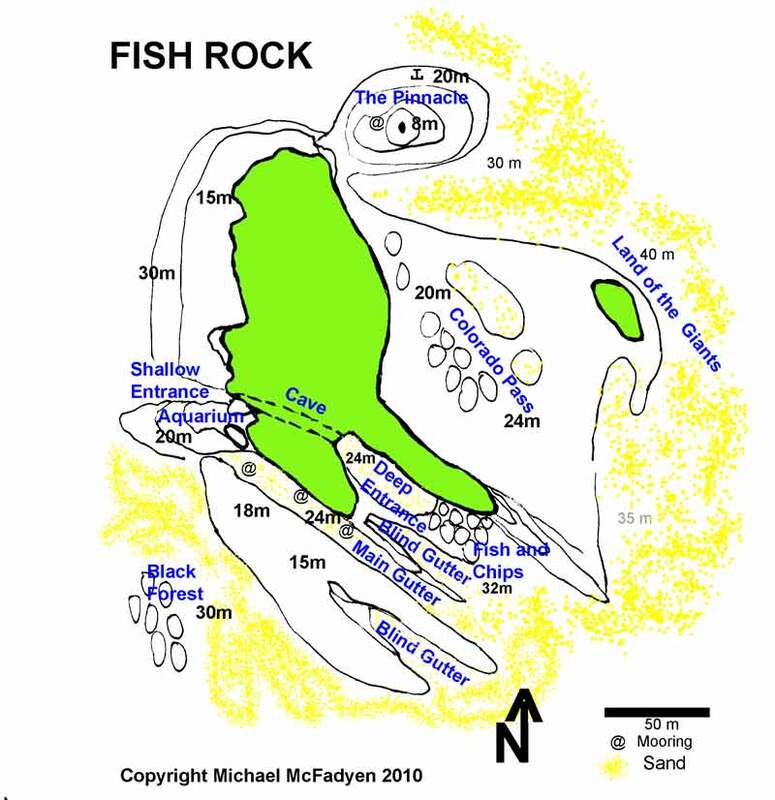 Once you arrive at Fish Rock, your boat coxswain can assess if the conditions are suitable to dive The Pinnacle. The best time to dive is the day after the current has stopped. This will normally mean that the water is very clean as the current brings in the clear and warm water. The Pinnacle is a twin peaked mountain that rises from 30 to 35 metres right up to six metres just off the north-east corner of the island and about eight metres on the top of The Pinnacle itself. When the water is clean, from the boat you can see the sea floor well down the western side of The Pinnacle and huge schools of bonito and garfish swimming under the boat. When it is like this, you should not pass up the opportunity to dive here. There are the remains of an old mooring here that you can put a rope through or you can anchor on the wall. Be careful to make sure that you cannot swing and hit the island or go over the shallow water if the wind changes. An alternative is to not anchor, but arrange with your coxswain to do a "claytons" drift dive. By this, I mean that you descend over The Pinnacle and at the completion of the dive you ascend over the shallowest section and get picked up wherever you decide to finish your dive although you have not actually drifted anywhere. On one dive here, from the surface I could see a grey nurse shark about 30 metres below in the sand gutter and I knew my first thoughts about the dive were going to be correct. You should descend down the southern side of The Pinnacle and have a close look at the sharks that can very often be seen in the sand gutter between The Pinnacle and Colorado Pass. After looking at the sand gutter, you should head south over the shallower rock area into the start of Colorado Pass. Here you will probably encounter huge schools of Spanish mackerel and a few wobbegongs. 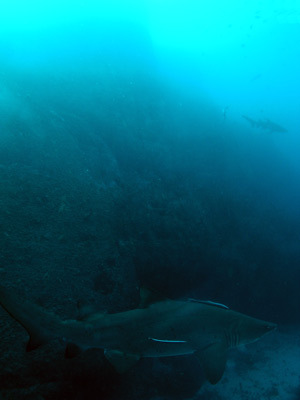 There are nearly always grey nurse sharks in this area, mostly large females. From here head north back to the sand gutter and follow the wall to the east and you will get a bit deeper. Here you may see a giant Queensland groper (not as big as Boris who used to be found at the SS President Coolidge but close). 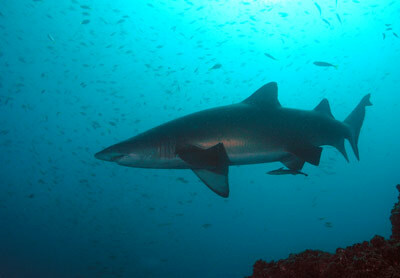 You may also see some more grey nurse sharks here. Soon you will be running low on bottom time so head across back to The Pinnacle and start ascending up the western side. Here there are normally huge schools of fish, including yellowtail, pomfrets, silver sweep and many times giant groups of long-finned bannerfish that float in and around the pass between Fish Rock and The Pinnacle. A dozen or so lazy wobbegongs can be seen here at times. There is also a very old admiralty anchor at about 20 metres on the north-western side. When you start running out of bottom time and air, ascend up the slope to the top of The Pinnacle. On Anzac Day 1996 I dived here and had absolutely perfect conditions, flat seas, no current and 40 metre visibility. On the last day of 1996 and the second day of 1997 I again dived The Pinnacle. On the first day the water conditions on top were perfect, flat blue water. However, it was a different story once I descended below the surface. Despite there being 30 metre visibility the day before, it was now only seven metres on the bottom and about 10 metres on the top of The Pinnacle. The water temperature had dropped from 23C to an amazing 16C on the bottom, although it was a bit warmer higher up. Notwithstanding this, the fishlife was as prolific as usual with huge schools of surgeonfish feeding off the algae on the rocks and dozens of wobbegongs lying all around the rock. I also saw a small green turtle which was easily videoed. 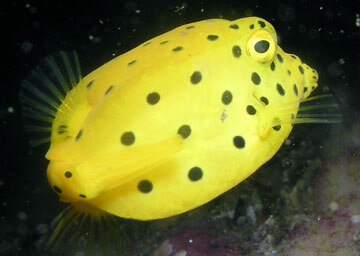 In the gap between The Pinnacle and Fish Rock, I saw a juvenile or female combfish (wrasse) acting as a cleaner wrasse. I darted continually from red morwong to red morwong, nipping at the area between the red morwongs' horns. The mowies seemed annoyed at this but they did not move away. Quite an amazing sight that I had never seen before but is mentioned in Neville Coleman's book Australian Sea Fishes. An excellent dive, despite the poor visibility and very cold water. The second dive on this trip had a slight chop on top and blue water down to about 20 metres. Below this the water was cold and dirty, a bit like two days earlier. On this dive I also saw a small grey nurse shark in the gutter outside the shallow entrance to Fish Rock Cave (I do get around when diving) and other divers saw two grey nurses to the south of The Pinnacle. I also saw about seven firefish on The Pinnacle. There was also a large school of bonito swimming around and over the divers and dozens of wobbegong sharks of all sizes. In July 2006 and September 2007 I dived here and had 30 plus metres visibility and incredible shark and fishlife. 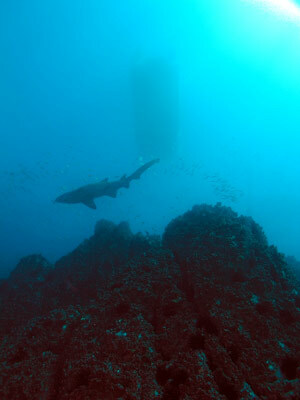 The Pinnacle is a fantastic dive site, one of the best reef dives I have encountered in NSW or, for that fact, anywhere. 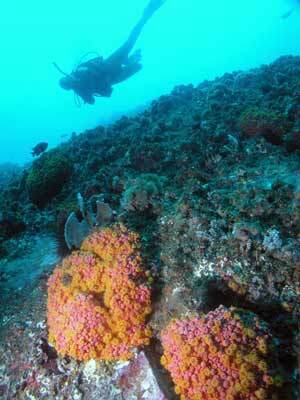 When conditions permit, make sure that you dive this site on your visit to South West Rocks. A must do! Note that when there is any sort of current, only experienced divers should do this dive.